GREAT HOME! Nestled in a quite cul de sac, this 4 bedroom, 2 bath home features vaulted beamed ceilings, a large stone, wood burning fireplace,separate dining room, large kitchen. Downstairs laundry and two main level bedrooms. Upstairs you will find an open loft,large, master bedroom with en suite bath, walk-in closet,a sitting room with beautiful views and an additional closet.Adjacent to master bedroom is a fourth bedroom or office. This home has three decks! a front deck and two rear covered decks, one of them is trex deck. The back yard patio area has pavers and a beautigul rock ledge. Perfect back yard for enjoying cool summer nights. Make this home your summer retreat. This will also make a great year round home. Don’t miss out on this UNIQUE property. 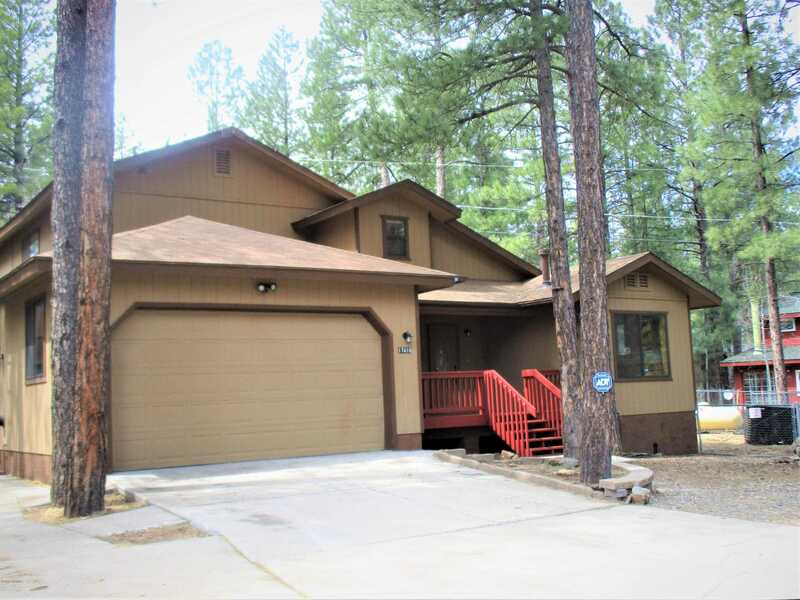 Please, send me more information on this property: MLS# 176900 – $364,900 – 17410 Lodgepole Place, Munds Park, AZ 86017. I would like to schedule a showing appointment for this property: MLS# 176900 – $364,900 – 17410 Lodgepole Place, Munds Park, AZ 86017.